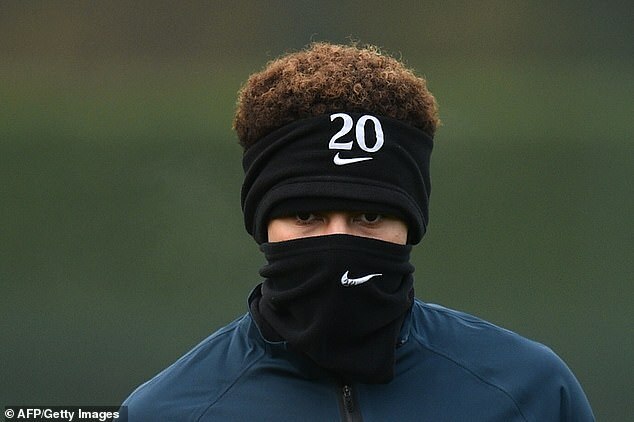 Mauricio Pochettino has labelled Dele Alli a ‘winner’ ahead of Tottenham’s Champions League clash with Inter Milan – and admits the midfielder gets ‘bored quickly’ when there is no pressure on his shoulders. It has been a big year for the 22-year-old, who helped Spurs to a third-placed finish in the Premier League before starring for England at the World Cup in Russia. That’s the way Alli likes it though, according to his manager, who was speaking at a press conference ahead of Wednesday night’s European clash at Wembley. ‘He loves a challenge,’ Pochettino said. ‘He is a winner. His mentality is that he gets bored quickly when he doesn’t feel the pressure. Elsewhere, Pochettino is still feeling the pain of Tottenham’s mistakes in the transfer market as he prepares for a must-win European clash. Spurs will crash out of the Champions League if they fail to beat Inter at Wembley but Pochettino is concerned about a congested month of fixtures. Injuries are taking their toll with a congested month of fixtures ahead and players such as Juan Foyth, Georges-Kevin N’Koudou and Vincent Janssen are not available in Europe because they had to be omitted from the original squad list. 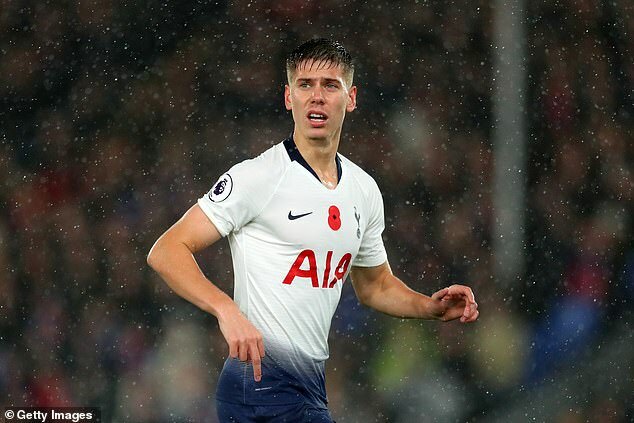 ‘That is so painful,’ said Pochettino, when asked about Foyth’s absence. ‘It’s a mistake we made which at this level of football we cannot repeat again. We need to find solutions before the start of the season. I was disappointed from the beginning. ‘I told you we needed English players, but it was impossible and of course now that’s the problem and it’s so painful to have a player out of the list. Unable to maximise the places reserved for eight home-grown players, Tottenham named only 22 players on the UEFA A-list. 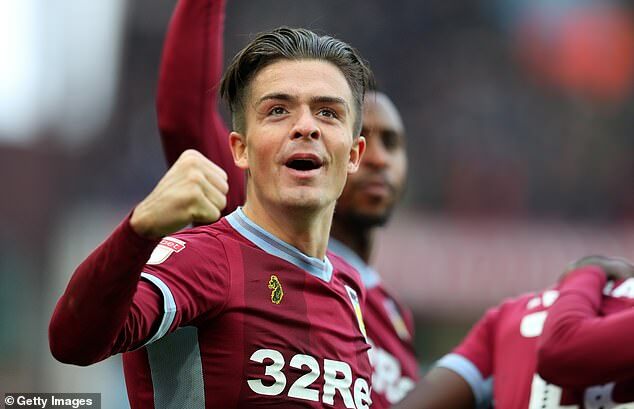 The problem might have been eased by recruiting English players such as Jack Grealish, who they tried to sign from Aston Villa. Or Ross Barkley, who they were close to signing from Everton before he joined Chelsea for £15million. Others they were linked with included Ryan Sessegnon of Fulham and Wilfried Zaha, who plays for Ivory Coast but is ‘association-trained’ for the purposes of UEFA. ‘In that moment, you cannot guess what’s going to happen,’ said Pochettino. ‘But that was a position where we have Davinson Sanchez injured and Jan Vertonghen was injured. ‘That was why we used Juan and I am happy with him, and with his evolution. He has showed great quality. But I am so disappointed with the situation. I am disappointed he cannot come with us in the Champions League.